Busy busy busy! The affluent male is always searching online! 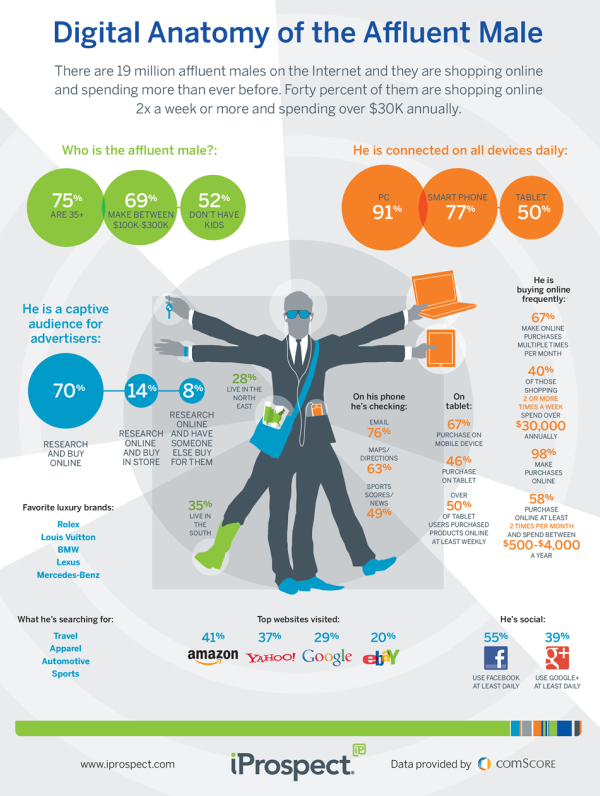 The Digital Anatomy of the Affluent Male from iprospect.com describes who the affluent male is and what he searches for. I really like the design style and the colors on this one. The correctly-highlighted map in his pocket and the cowboy boot are a nice touch. 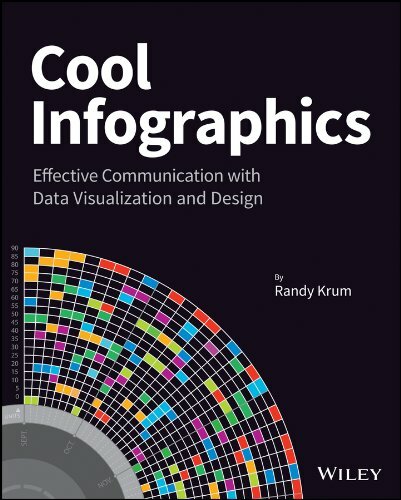 The data visualizations do a good job, but there are a bunch of statistics that aren’t visualized and are left just in text. Visually, this makes these other statistics less important because they didn’t warrant being visualized. The favorite brands could use the actual logos, and the “What he’s searching for” could use some icons. From an SEO perspective, the URL at the bottom really should be the landing page address, and once you get to the landing page, there aren’t any social sharing buttons so you are left to your own to figure out how to share it. 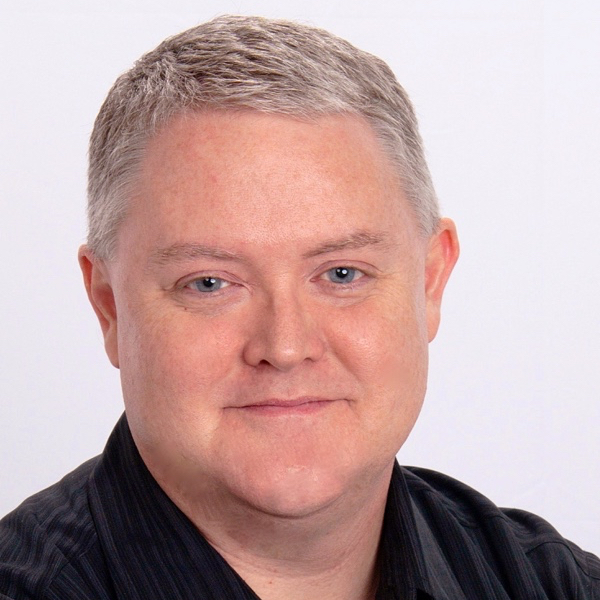 Thanks to Douglas for sending in the link!